Huchuy Qosqo Trek with Homestay: A fantastic combination for people who are looking living an experience of Andean culture, departing close from Chinchero with a weaving demonstration process, following through a mountain pass and finally reaching Huchuy Qosqo local family homestay, an ancient Inca archaeological site perched on a cliff with stunning views over the Sacred Valley of the Incas and exploring the lost city of Machu Picchu in this tour. Huchuy Qosqo Trail was part of the inca Trail, connecting to Huchuy Qosqo Inca site, then connecting to the Sacred Valley and ending in Machu Picchu. This impressive inca site was built by Inca Wiracocha the father of Pachacuteq, the original name of this place was Kaja Katarina, means place where to appreciate the lightning, it was a holy place dedicated to the god lightning, with a large amphitheater to hold their celebrations and rituals, rich soil and zigzag terraces. 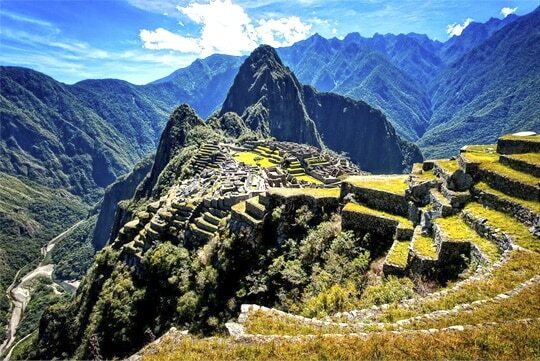 Help us to give support our non profit project choosing this Huchuy Qosqo Trek and homestay to Machu Picchu. We leave Cusco at 7:00AM in a private transport that takes us to Chinchero to then follow on to Tauca, a small Andean community to learn about the dyeing and weaving process, here we will see how the local women use the natural plants, roots, seeds, leaves and insects to dye the alpaca wool, there you can choose to do a weaving lesson to learn the basic structure of weaving. After we will continue with our trek to Huchuy Qosqo; we start hiking uphill amidst beautiful mountain scenery with presence of llamas, alpacas and lovely views of the Piuray Lagoon until we reach the only mountain pass of this program at (4500m/14760ft) around two hours. We then start descending along a restored Inca Trail for an approximated 1h towards the small Andean community of Pucamarca (4010m/13153ft). From there, we walk downhill towards the Leon Punku ravine, where we find remains of an Inca bridge and trail. This canyon boasts geological formations surrounded by majestic rocks and boulders that direct the river to Huchuy Qosqo at (3600m/11808ft), here we will meet with a local family for our homestay. After lunch they will take you in a deep cultural encounter with the daily life issues. Depending on the season they might be farming, herding and farming guinea pig. 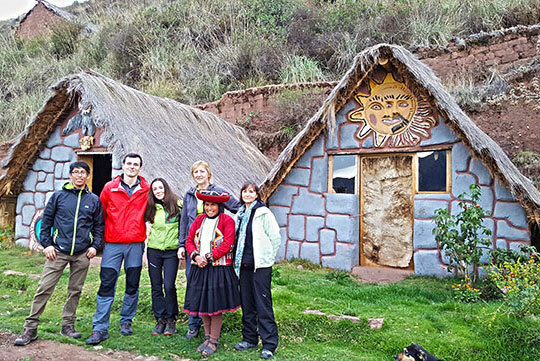 In the morning enjoy your breakfast with the family; we will leave the family house at 8:00am to continue with the guided tour of Huchuy Qosqo Inca site. 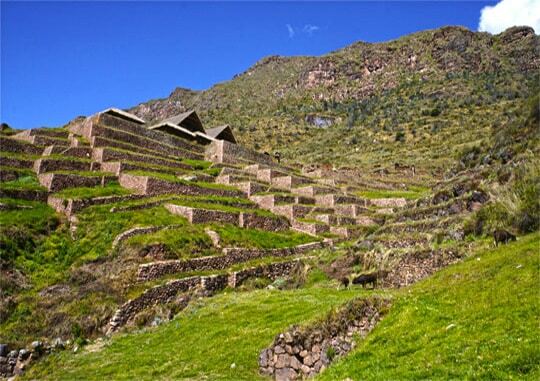 It’s an Inca archaeological complex with imposing architecture that includes a large open ceremonial center, from which we enjoy a panoramic view of the Sacred Valley, the Vilcanota River, and the snowcapped mountain, after one and half hours downhill with a stunning view of the Sacred Valley we will reach Lamay town, where our private transport will be waiting for us, to take us to Ollantaytambo from where we catch the train to Aguas Calientes.